Greater swings in economic activity, coupled with related to Federal Reserve or trade policy missteps, raise the likelihood of higher financial market volatility. Commodities should be good performers in 2019. Gold, we suspect, will rally along with most other commodities. For oil, we believe that year-end 2019 target ranges of $60 to $70 for WTI, and $65 to $75 for Brent, better reflect the global supply/demand balance and political factors. REITs probably will be the worst-performing real asset in 2019—a reversal from the past few years. MLPs, after a string of down years, have the potential to deliver solid performance in 2019. Sources: Bloomberg and Wells Fargo Investment Institute. Daily data, January 1, 2017 to November 19, 2018. For illustrative purposes only. Performance results for the Real Assets portfolio are hypothetical. MLPs are represented by the Alerian MLP Index; commodities are represented by the Bloomberg Commodity Index; global REITs are represented by the FTSE EPRA/NAREIT Developed Market Index. The Real Assets hypothetical portfolio is an equal-weighted index of the Alerian MLP Index, the Bloomberg Commodity Index, and FTSE EPRA/NAREIT Developed REIT Index. Index returns do not represent investment returns or the results of actual trading nor are they forecasts of expected gains or losses a fund might experience. Index returns reflect general market results, assume the reinvestment of dividends and other distributions and do not reflect deduction for fees, expenses or taxes applicable to an actual investment. An index is unmanaged and not available for direct investment. Hypothetical and past performance do not guarantee future results. Please see the end of this presentation for descriptions of the asset-class risks. Does a lost decade turn into a golden age? We favor equity hedge, relative value, macro (discretionary), and event driven (distressed) strategies. The lengthening economic cycle should increase stock price volatility and dispersion, along with credit payment delinquencies. Private debt strategies could benefit from tighter credit conditions and fading credit investor sentiment. Private debt strategies typically can withstand periods of illiquidity and actually capitalize upon them. We are neutral on private equity but view higher interest rates as negative for private real estate. Real estate supply and demand conditions eventually deteriorate, often as interest rates rise, and negatively affect U.S. property capitalization (cap) rates and property values. More attractive investing opportunities might be found in Europe and Asia than in the U.S. Alternative investments are not suitable for all investors and are only open to “accredited” or “qualified” investors within the meaning of the U.S. securities laws. They are speculative, are highly illiquid, and are designed for long-term investment and not as trading vehicles. There is a growing percentage of bonds at the bottom rung of the investment-grade quality ladder, which could be worrisome if fundamentals deteriorate. Sources: Bloomberg and Wells Fargo Institute. Yearly data from December 31, 1990 through September 28, 2018. Bloomberg Barclays U.S. Aggregate Bond Index is a broad-based flagship benchmark that measures the investment-grade, U.S.-dollar-denominated, fixed-rate taxable bond market. An index is unmanaged and not available for direct investment. Ratings assess default and credit risk and are not a forecast or guarantee of investment results. For illustrative purposes only. A credit rating is an assessment of the issuer’s ability to meet its obligations. It is not a recommendation to buy, sell, or hold securities nor is it an indication of a security’s market risk, its liquidity, or its secondary market price. Ratings are assigned by rating agencies such as Standard and Poor’s (ratings from ‘AA’ to ‘CCC’) and Moody’s Investors Service (ratings from ‘Aa’ to ‘Caa’) at the time of their analysis and are subject to change based on economic, issuer or other factors. BBB/Baa is a medium-grade rating, which means the company is subject to moderate credit risk and may have speculative characteristics. 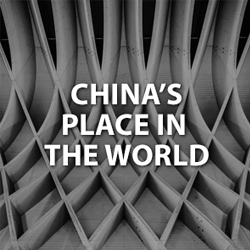 What sort of opportunities will China’s economic ascension provide to investors? 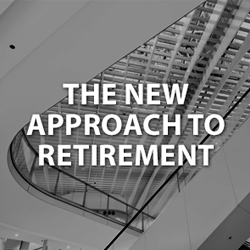 What steps should investors across the generations take to prepare for their retirements and longer lifespans? 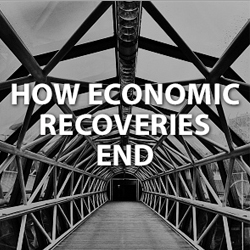 What might the next recession look like—and can investors prepare their portfolios for it? 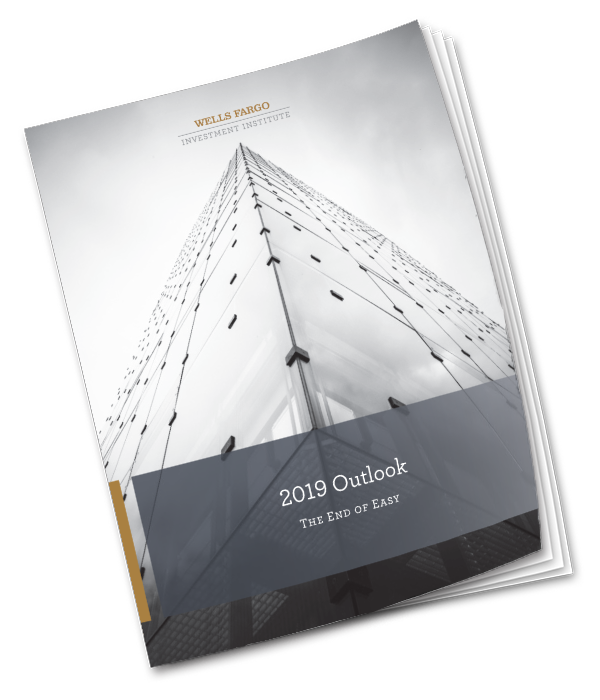 Wells Fargo Investment Institute is home to more than 120 investment professionals focused on investment strategy, asset allocation, portfolio management, manager reviews, and alternative investments. Its mission is to deliver timely, actionable advice that can help investors achieve their financial goals. Alerian MLP Index is a float-adjusted, capitalization-weighted index, whose constituents represent approximately 85% of total float-adjusted market capitalization, and is disseminated real-time on a price-return basis (AMZ) and on a total-return basis (AMZX). FTSE EPRA NAREIT Developed Index is designed to track the performance of listed real estate companies and REITS worldwide. Stock markets, especially foreign markets, are volatile. A stock’s value may fluctuate in response to general economic and market conditions, the prospects of individual companies, and industry sectors. International investing has additional risks including those associated with currency fluctuation, political and economic instability, and different accounting standards. This may result in greater share price volatility. These risks are heightened in emerging markets. Investing in small- and mid-cap companies involves additional risks, such as limited liquidity and greater volatility. Investments in fixed-income securities, including municipal securities, are subject to market, interest rate, credit, liquidity, inflation, prepayment, extension, and other risks. Bond prices fluctuate inversely to changes in interest rates. Therefore, a general rise in interest rates can result in a decline in the bond’s price. High-yield fixed-income securities are considered speculative, involve greater risk of default, and tend to be more volatile than investment-grade fixed-income securities. Municipal securities may also be subject to the alternative minimum tax and legislative and regulatory risk, which is the risk that a change in the tax code could affect the value of taxable or tax-exempt interest income. If sold prior to maturity, fixed-income securities are subject to market risk. 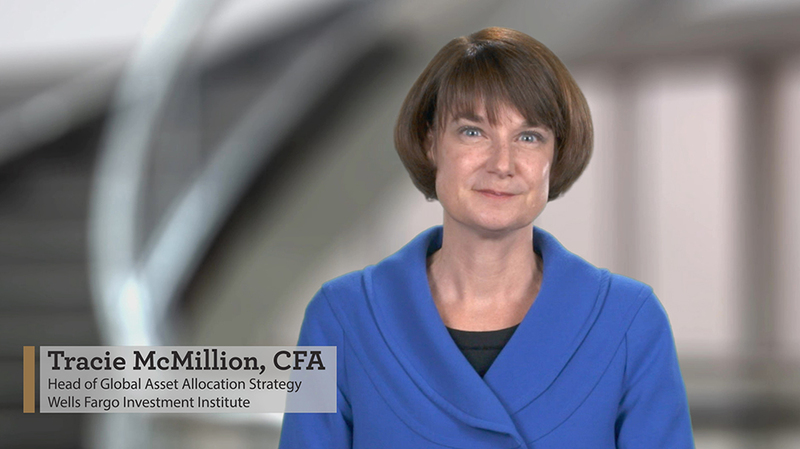 All fixed-income investments may be worth less than their original cost upon redemption or maturity. Similar to bonds, preferred securities are interest rate sensitive. Their dividends are not guaranteed and are subject to change. Some preferred securities include a call provision, which may negatively affect the return of the security. A pre-refunded bond is a callable bond collateralized by high-quality securities, typically Treasury issues. U.S. government securities are backed by the full faith and credit of the federal government as to payment of principal and interest if held to maturity. Although free from credit risk, they are subject to interest rate risk. Mortgage-related and asset-backed securities are subject to prepayment and call risks in addition to the risks of investing in debt securities. Call risk is the risk that the issuer will redeem the issue prior to maturity. This may result in reinvestment risk, which means the proceeds will generally be reinvested in a less favorable environment. Changes in prepayments may significantly affect yield, average life, and expected maturity. Sector investing can be more volatile than investments that are broadly diversified over numerous sectors of the economy and will increase a portfolio’s vulnerability to any single economic, political, or regulatory development affecting the sector. This can result in greater price volatility. Risks associated with the Consumer Discretionary sector include, among others, apparel price deflation due to low-cost entries, high inventory levels and pressure from e-commerce players; reduction in traditional advertising dollars, increasing household debt levels that could limit consumer appetite for discretionary purchases, declining consumer acceptance of new product introductions, and geopolitical uncertainty that could affect consumer sentiment. Investing in the Financials sector will subject a portfolio to adverse economic or regulatory occurrences affecting the sector. Some of the risks associated with investment in the Health Care sector include competition on branded products, sales erosion due to cheaper alternatives, research and development risk, government regulations and government approval of products anticipated to enter the market. Risks associated with investing in Industrials include the possibility of a worsening in the global economy, acquisition integration risk, operational issues, failure to introduce to market new and innovative products, further weakening in the oil market, potential price wars due to any excess industry capacity, and a sustained rise in the dollar relative to other currencies. Materials industries can be significantly affected by the volatility of commodity prices, the exchange rate between foreign currency and the dollar, export/import concerns, worldwide competition, procurement and manufacturing and cost containment issues. Risks associated with the Technology sector include increased competition from domestic and international companies, unexpected changes in demand, regulatory actions, technical problems with key products, and the departure of key members of management. Utilities are sensitive to changes in interest rates, and the securities within the sector can be volatile and may underperform in a slow economy. Alternative investments, such as hedge funds, private equity/private debt, and private real estate funds, are speculative and involve a high degree of risk that is suitable only for those investors who have the financial sophistication and expertise to evaluate the merits and risks of an investment in a fund and for which the fund does not represent a complete investment program. They entail significant risks that can include losses due to leveraging or other speculative investment practices, lack of liquidity, volatility of returns, restrictions on transferring interests in a fund, potential lack of diversification, absence and/or delay of information regarding valuations and pricing, complex tax structures and delays in tax reporting, and less regulation and higher fees than mutual funds. Hedge fund, private equity, private debt, and private real estate fund investing involves other material risks, including capital loss and the loss of the entire amount invested. A fund’s offering documents should be carefully reviewed prior to investing. Private debt strategies seek to actively improve the capital structure of a company often through debt restructuring and deleveraging measures. Such investments are subject to potential default, limited liquidity, the creditworthiness of the private company, and the infrequent availability of independent credit ratings for private companies. Investing in distressed companies is speculative and involves a high degree of risk. Because of their distressed situation, these securities may be illiquid, have low trading volumes, and be subject to substantial interest rate and credit risks. Hedge fund strategies, such as Equity Driven, Equity Hedge, Relative Value, Structured Credit, Long/Short Credit, and discretionary Macro, may expose investors to the risks associated with the use of short selling, leverage, derivatives, and arbitrage methodologies. Short sales involve leverage and theoretically unlimited loss potential because the market price of securities sold short may continuously increase. The use of leverage in a portfolio varies by strategy. Leverage can significantly increase return potential but create greater risk of loss. Derivatives generally have implied leverage, which can magnify volatility and may entail other risks, such as market, interest rate, credit, counterparty, and management risks. Long/short credit strategies seek to mitigate interest rate and credit risks regardless of market environment through investment in credit-related and structured debt vehicles. These strategies involve the use of market hedges and involve risks such as derivatives, fixed income, foreign investment, currency, hedging, leverage, liquidity, short sales, loss of principal, and other material risks. Private debt strategies seek to actively improve the capital structure of a company, often through debt restructuring and deleveraging measures. Such investments are subject to potential default, limited liquidity, the creditworthiness of the private company, and the infrequent availability of independent credit ratings for private companies. Investing in distressed companies is speculative and involves a high degree of risk. Because of their distressed situation, these securities may be illiquid, have low trading volumes, and be subject to substantial interest rate and credit risks. Real assets are subject to the risks associated with real estate, commodities, MLPs, and other investments and may not be suitable for all investors. The commodities markets, including investments in gold and other precious metals, are considered speculative, carry substantial risks, and have experienced periods of extreme volatility. Investing in a volatile and uncertain commodities market may cause a portfolio to rapidly increase or decrease in value, which may result in greater share price volatility. Investments in commodities may be affected by changes in overall market movements, commodity index volatility, changes in interest rates, or factors affecting a particular industry or commodity. Products that invest in commodities may employ more complex strategies, which may expose investors to additional risks. Investment in securities of MLPs involves certain risks that differ from an investment in the securities of a corporation. MLPs may be sensitive to price changes in oil, natural gas, etc. ; regulatory risk, and rising interest rates. A change in the current tax law regarding MLPs could result in the MLP being treated as a corporation for federal income tax purposes, which would reduce the amount of cash flows distributed by the MLP. In addition, there are certain tax risks associated with an investment in MLP units, and conflicts of interest may exist between common unitholders and the general partner, including those arising from incentive distribution payments. Other risks include the volatility associated with the use of leverage, volatility of the commodities markets, market risks, supply and demand, natural and man-made catastrophes, competition, liquidity, market price discount from net asset value, and other material risks. Investment in real estate securities include risks, such as the possible illiquidity of the underlying properties, credit risk, interest rate fluctuations, and the impact of varied economic conditions. Wells Fargo Wealth and Investment Management, a division within the Wells Fargo & Company enterprise, provides financial products and services through bank and brokerage affiliates of Wells Fargo & Company. Brokerage products and services offered through Wells Fargo Clearing Services, LLC, a registered broker/dealer and nonbank affiliate of Wells Fargo & Company. Bank products are offered through Wells Fargo Bank, N.A. Global Investment Strategy and Global Alternative Investments are divisions of Wells Fargo Investment Institute, Inc. (WFII). WFII is a registered investment adviser and wholly owned subsidiary of Wells Fargo Bank, N.A., a bank affiliate of Wells Fargo & Company.